Following a handful of World RX Supercar starts in 2014 and 2015, Baumanis received a full season campaign in 2016 as part of the World RX Team Austria outfit, securing a final appearance and a best finish of fourth place in Barcelona. 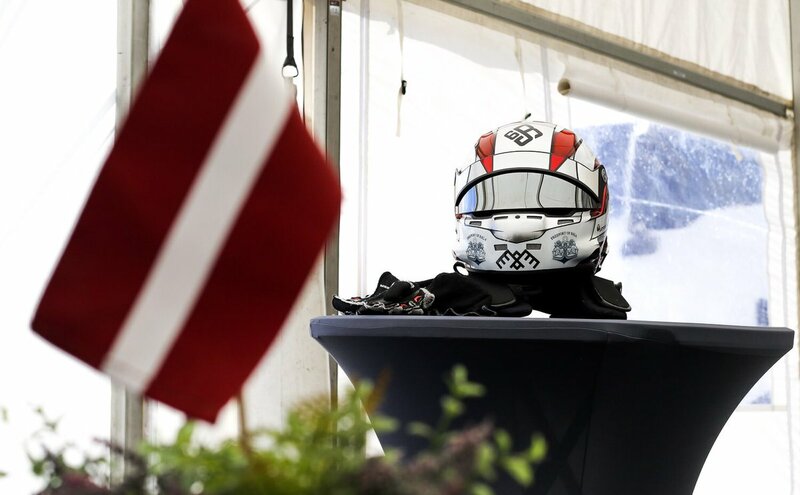 A move to Team STARD for 2017 yielded a popular run to the final on home soil in Latvia, as well as a season’s best fifth place and 12th overall. In 2018 Baumanis continued at the wheel of the Ford Fiesta with Team STARD finishing ninth overall. His highlight of the year was winning the Monster Energy Supercharge award in Canada for being the quickest to react at the start. Entering his third year with STARD and with support from Ford Performance in 2019, he will be looking for wins and podiums. Don’t give up until you have reached your aim! When it’s reached, set some new ones and don’t stop! Holjes, Sweden – it is proper rallycross track. I’m always enjoying being there for racing and testing. This award has to go to Andreas Bakkerud! Nobody can punish me now but if my father knew about how many times I've used his rally recce car along gravel roads, then he would get very angry! Not because of the kilometres, but I started to do it when I was only 14 years old! BAUMANIS: "I FEEL MORE CONFIDENT THAN LAST YEAR"